William E. Lewis, 76, of South Shore, KY, passed away March 24, 2019 in Our Lady of Bellefonte Hospital in Ashland, KY. He was born in Greenup, KY, June 19, 1942, a son of the late Claude Lewis and Irma Jackson Lewis. 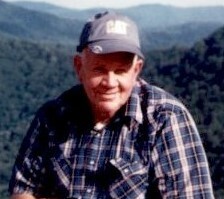 Bill was a United States Army Veteran and retired from Wayne Supply in Ashland, KY after 41 years of service. Preceded in death by five sisters, Thelma Louise Lewis, Connie Woods, Francis Daily, Ruby Erwin and Verna Williams. Surviving are his wife of 52 years, Judy Gregory Lewis, one daughter, Jodi Jewell of Wheelersburg, Ohio, one son, Billy Lewis of Fancy Gap, Virginia, two grandsons, Garrett Boyd and Jacob Jewell and several nieces and nephews. Funeral services will be held 1 p.m. on Wednesday, March 27, 2019 at the Roberson Funeral Home in South Shore, Kentucky with Pastor David Lute, officiating, burial will follow in Sunset Memorial Gardens, Franklin Furnace, Ohio. Friends may call at the Funeral Home from 11 a.m. till the Funeral hour at 1 p.m. on Wednesday. Military Graveside services will be by American Legion Post 93, Kenova, West Virginia.